Let’s say you have just learned Ohm’s law. Now you know that voltage equals the current multiplied with the resistance. And let’s say you have used it to calculate the current going through a circuit with only a battery and a resistor. 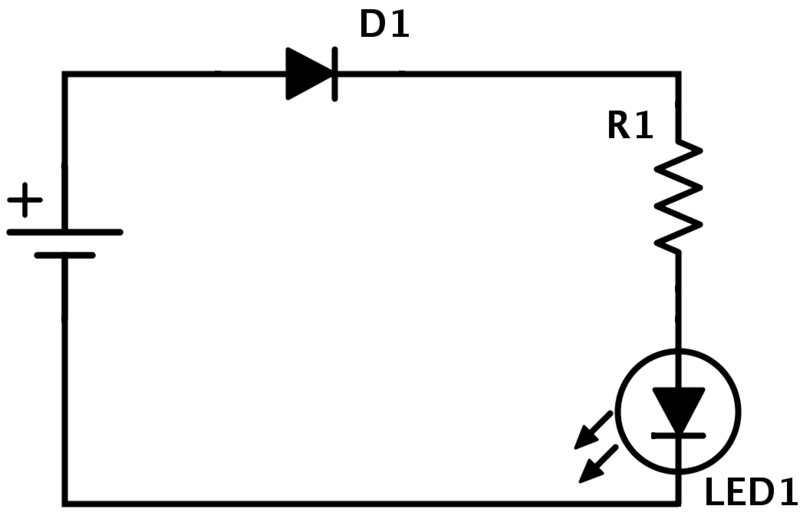 The voltage from the battery was V and the resistance value of the resistor was R.
You inserted those values, and found how much current that was flowing through the circuit. 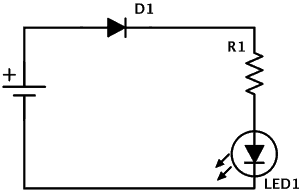 …and your circuit has a resistor in series with a Light-Emitting Diode (LED). How do you calculate the current now?? You try to measure it with a multimeter.. The thing is that many components in electronics do not have a fixed resistance value. You have to use different approaches to different components, depending on what you want to calculate. The LED has a specific voltage drop when it is emitting light. Usually around 2 volts. You can find the exact value in the datasheet of the LED. So – to find the current in a resistor + LED circuit, you would subtract the voltage drop value of the LED, from the voltage of the battery. And use the resistor value of the resistor.